Paper Science Event in North Carolina… Science Olympiad! 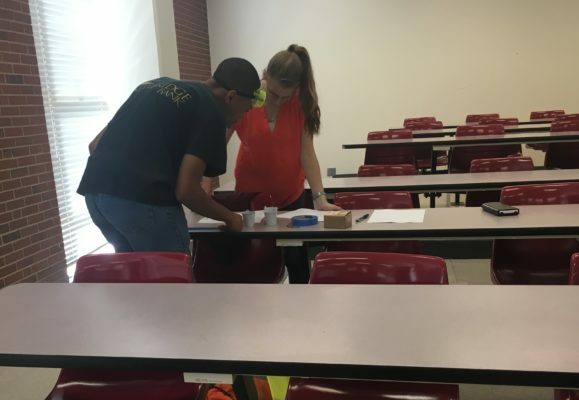 The first ever Paper Science Event in the North Carolina Science Olympiad was lead by our own paper science and engineering graduate, Heather Starkey. The NC Science Olympiad is an annual event where elementary to high school-aged students around the state gather to compete in STEM related competitions. Originating in the 1970’s, this non-profit organization brings together students from grades K-12 in hopes of retaining them to the science, technology, engineering and mathematics (STEM) fields within North Carolina. Once a year, a tournament is held where students compete in interscholastic events in various disciplines such as biology, earth science, environmental science, chemistry, physics, engineering and technology. Before this, students must compete regionally within North Carolina. Each school is allowed a team of up to 18 students who show skills needed to excel in STEM fields. There are three basic competing groups based on age and school level; elementary school is Division A, middle school, Division B, and high school, Division C. The top 2-3 teams from each regional competition accelerated onto the State Competition which took place at NC State University. Whoever wins the top 1-2 spots at State then moves on to the nationwide competition to compete with student teams representing other states. Normally, the North Carolina Science Olympiad sees more that 800 teams compete, representing around 14,000 students and 70 counties within North Carolina. Heather Starkey, a recent graduate from NC State’s Paper Science and Engineering program and current graduate research assistant in the department, has been involved in Science Olympiad since 2009, when she joined her local high school’s team. Her main events included food science, chemistry lab, and forensics. She says that due to the lack of science related classes in her school, Science Olympiad was a great way for her to gain exposure to the STEM related activities. Since Science Olympiad fueled her love for science and math as a teen and majorly impacted who she has become, she tries to give back to the community through volunteering, normally in both her hometown regional competition, and the State competition every year. Heather also volunteers in the main office located on NC State’s Centennial Campus. While talking to the executive director this past fall about NC State hosting the national tournament in 2020 as contribution from North Carolina, the director wanted to unveil new events. Science Olympiad had previously partnered with the food science department to create an event, and hoping for additional partnerships the executive director extended an invitation to the PSE department, and Heather answered the call. The paper event was divided into two parts, a written test and an experiment. For the written portition, students were asked questions related to paper properties, water fiber interactions and the history of paper. 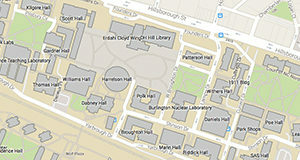 This portion was to be completed before the in-person event which was hosted in Mann Hall at NC State. This experiment included measuring the breaking length of paper using a bucket and washers, along with completing the corresponding calculations. As expected with anything new, some kinks need to be ironed out, but everything is a learning experience and there looks to be a strong future for continuation of this event based on feedback from the competitors. The final goal is to oerfect this event, so that a Paper Science event can eventually be included in regional competitions. If you would like to know more about the Science Olympiad, the 2020 tournament or more information feel free to check out the links listed below!